At the last minute last night the US and Canada cut a deal, so now Canada is on on the deal to change NAFTA to USMCA. I think the name change is the biggest part of it, even though Trump still claims that NAFTA was “the worst trade deal ever” and the new deal makes relatively minor changes in it, especially if one considers what would have been the case if the US had actually joined the TPP, as most of the environmental, labor, and intellectual property parts of the new deal (the environmental and labor parts largely improvements, if not too dramatic) were already agreed to by Mexico and Canada when they joined TPP, which they belong to along with all its other members aside from the US. 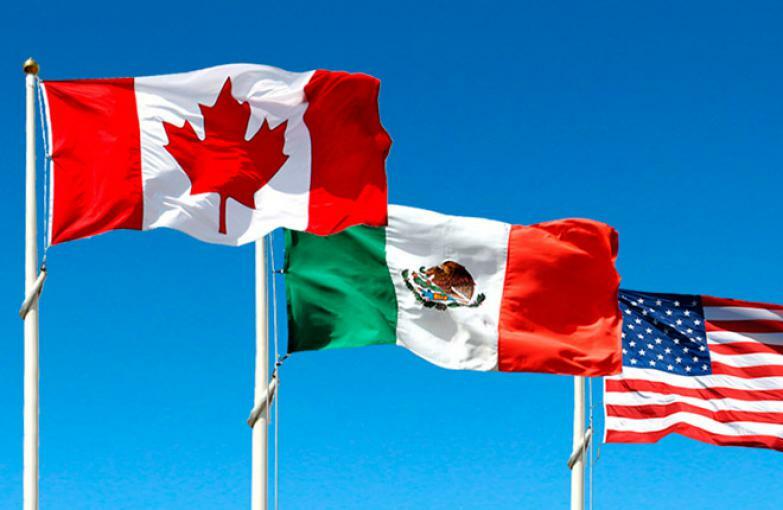 Beyond continuing NAFTA and adding the TPP parts, the main changes are in the auto industry and the dairy industry, the former mostly affecting Mexico, the latter mostly affecting Canada.Between the restrictions on outsourcing and the $16 per hour limit on imports, there may be some shifting of auto parts production from Mexico to the US and possibly Canada as well. This will lead to job losses in Mexico, but there may be some Mexican autoworkers who see wage boosts also. The auto deal has little impact on Canada aside from Trump retracting his threat to impose tariffs, which was opposed by GM and Ford as well as the UAW thanks to the profound integration between the US and Canadian auto industries. However, it must be noted that while there may be some increase in production and employment in the US auto parts sector, there is likely to be other damage to the US auto industry. The new rules will increase costs on top of the existing steel and aluminum tariffs, which were not removed by this agreement, although both Mexico and Canada wanted them to be removed. So US consumers will be hurt, but the higher costs will make all auto exports from the three nations less competitive, and indeed US auto exports have been declining in recent months, something likely to accelerate after this deal really goes in.It is quite unclear whether there will be a net gain or loss for employment in the US auto industry overall as a result of this.